Expedia Imsil vacation packages will help you save cash! Combining your bookings will give you more cash to splash for your amazing trip. There's no need for you to click around different websites for your travel bookings. With more than 400 partner airlines and 321,000 properties worldwide, our comprehensive database has everything you need. Almost all accommodations can be cancelled with no hidden fees from us. It's enjoyable to just wander the streets when you're somewhere new, but sometimes it's wise to have an agenda. Grab your itinerary — we've got some excellent ideas for your forthcoming Imsil vacation. Are you eager to venture outside and have a little fun? The North Jeolla region has some fantastic activities to keep you busy, such as snowboarding. Still got some time to spare? If you're looking for even more, grab the opportunity to try some skiing too. As there aren't any Imsil properties registered with Expedia, a good alternative is to stay in Namwon, which is around 17 miles (27 km) away. The Suites Hotel Namwon, Kensington Resort Jirisan Namwon and Hotel River are among the most popular options in Namwon. Gunsan Airport (KUV) is located 40 miles (64 km) northwest of the central area of Imsil. Collect your luggage slide into the back of a cab and let your well-deserved getaway begin! Situated in Jeonju, this hotel is close to Chimyeongjasan Martyrs Ground, Jeonju Hanok Village, and Donggosa Temple. Also nearby are Hanbyeokdang Pavillion and Jeonju Traditional Culture Center. 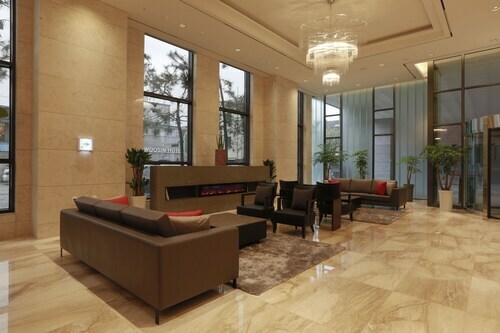 Situated in the entertainment district, this hotel is in the same area as Jeonju World Cup Stadium, Jeonju National Museum, and Deokjin Park. Area attractions also include Gyeonggijeon Shrine and Jeonju Zoo. 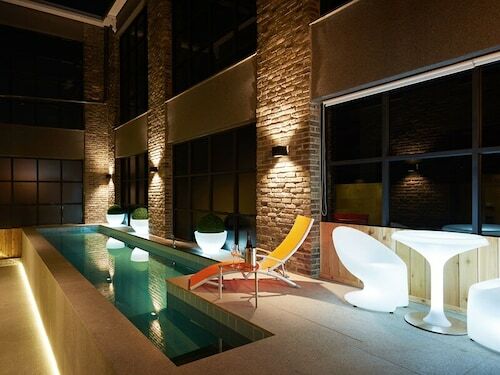 Situated in Jeonju, this hotel is within a 10-minute walk of Gangam Calligraphy Museum and Jeonju Hanok Village. 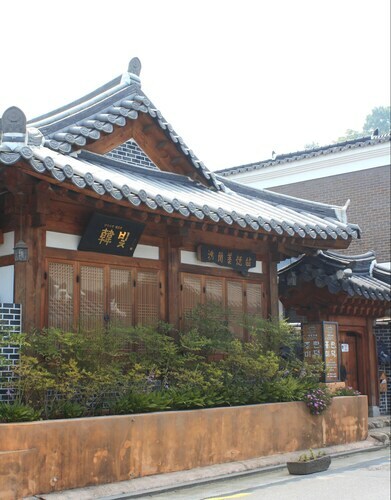 Hagindang House and Jeonjuhyanggyo Confucian School are also within 10 minutes. Situated in Jeonju, this hotel is close to Jeonju City Hall, Jeonju Hanok Village, and Jeonju Hanok Living Experience Center. Also nearby are Gyeonggijeon and Dongnagwon House. Situated in Jeonju, this guesthouse is steps from Jeonju Korean Traditional Wine Museum and Jeonju Hanok Village. 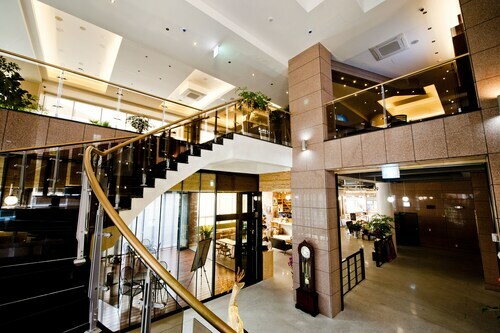 Situated in Jeonju, this hotel is close to Jeonju City Hall, Jeonju Hanok Village, and Gyeonggijeon. Also nearby are Pungnammun Gate and Jeonju Hanok Living Experience Center. 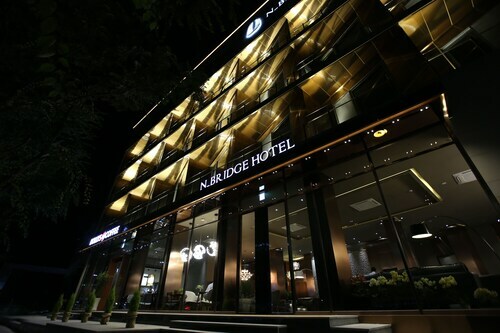 Situated in the city center, this hotel is close to Pungnammun Gate, Gyeonggijeon, and Jeondong Catholic Church. Nearby attractions also include Jeonju Hanok Village. Situated in the city center, this hotel is close to Dongnagwon House, Jeonju Hanok Village, and Jeonju Hanok Living Experience Center. Also nearby are Jeonju Korean Traditional Wine Museum and Jeonju City Hall. Fri., 19 Jul. - Mon., 29 Jul.